Looks Good from the Back: Adrien: And so it begins. I love this! That top is so cute and I really like it with the longer skirt. The red shoes are perfect too!!! So cute! And what do you mean what's wrong with your face? I just wanted to say thank you! A couple of weeks ago I commented on a post and mentioned I was struggling to look grown up and pu together at work. 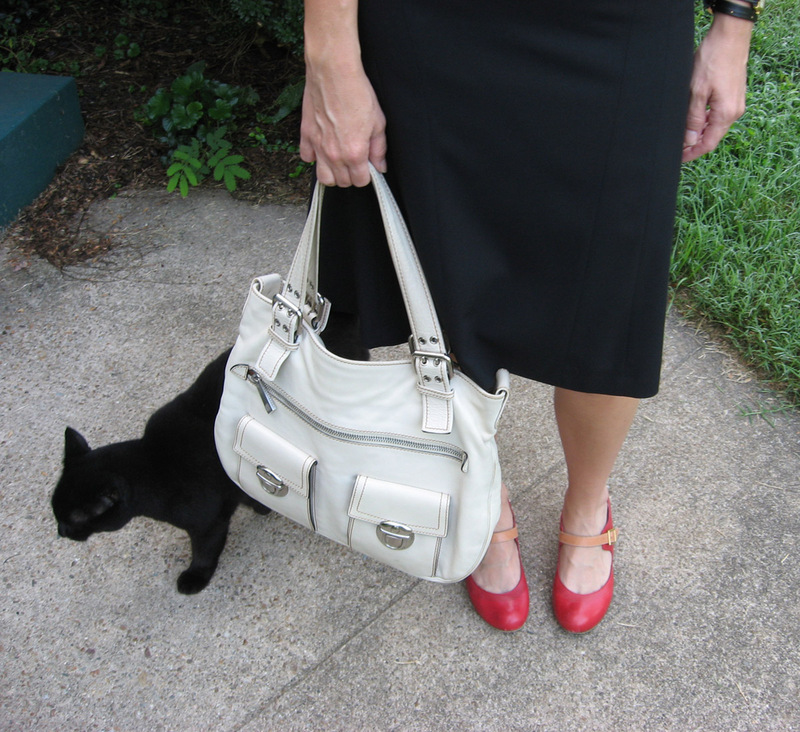 You replied and suggested I wear something tailored, like a non-stretcy pencil skirt. Well, I went out and bought one and I'm wearing it today for the first time. 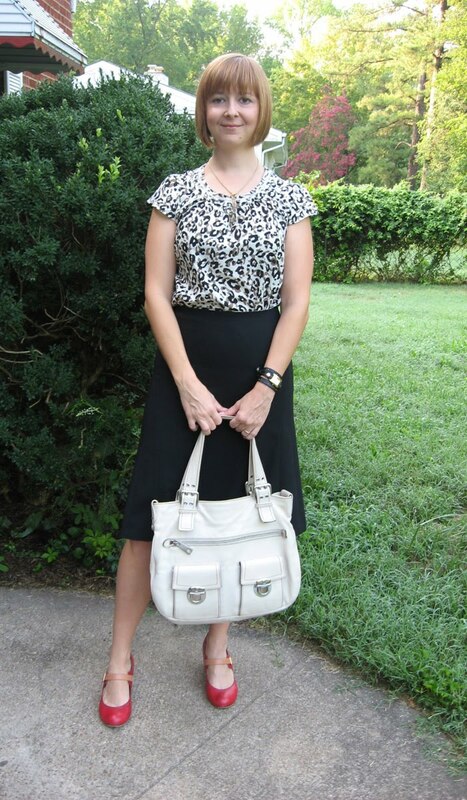 Now, I know it may seem obvious to others, but I'd never thought of wearing a pencil skirt. I didn't think it'd work on me. But I have to say it does and I love it! I DO look grown up and put together, so thank you so much for the awesome tip! Oh yay! I'm so glad my advice was helpful and that it worked for you. Thanks for the update! I love the print of that blouse, especially paired with those awesome red shoes. Great purchase! Love that bag! I wanted a white bag this summer, but never found the right one. Thanks, all! I appreciate the nice comments.